So, how have you been doing working with the Five of Swords energy during May? Many have told me that it's been a difficult month. 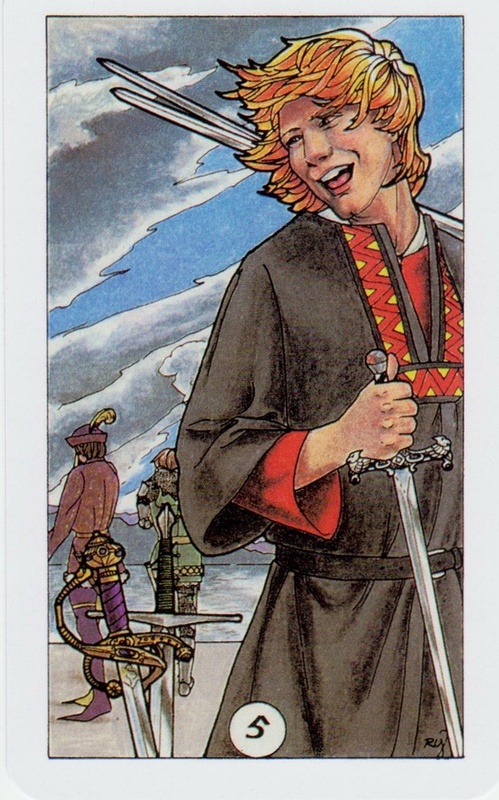 I can attest to it not having been my best month ever, but when you’re dealing with back-stabby Five of Swords crap, you can’t really expect fun. It’s like having the flu – you know you’ll most likely live through it, but you’re very aware that you’re going to be miserable until the disease disappears. 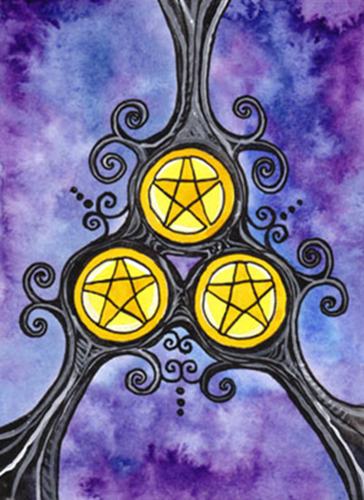 Therefore, I hope that you all made it through May, relatively unscathed, and I hope that you were able to also work with the Queen of Pentacles energy, which was also associated with May, based on the 2016 reading that I did late last year. As many of you probably know, last month, you were also dealing with a Mercury Retrograde aspect, where it appears that Mercury is moving backwards in the sky, even though it isn’t. Whenever Mercury is in Retrograde, communications can become garbled, the truth can be colored – if not completely destroyed, travel becomes difficult, and everything that requires electricity – from your computer to your car – is at risk of breaking. So, if you feel like you’ve been through a tornado vs just another month of May, take heart, you weren’t imagining it. That’s the good news. The bad news? 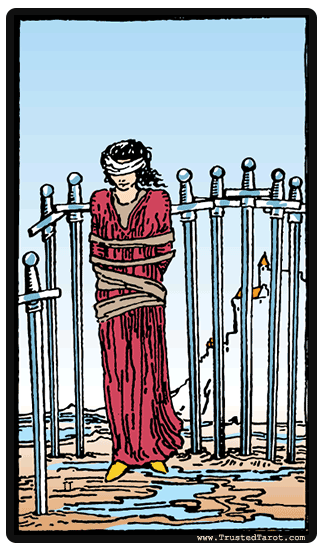 June isn’t going to be much fun, either, as you’ll be working with the energy of the Eight of Swords, the card I called the Trapped card. You might be trapped because you’re trying to determine an answer to a problem or situation with little feedback, or you might feel trapped because you don’t feel like you have any valid options from which to choose, or you might be trapped because there are people actively working to hold you back. The card pulled for May is the Five of Swords, which indicates conflict and tension will be in the forefront and you will need to decide whether it's worth your time and peace of mind to get involved in whatever is swirling around. Sometimes, it can be easy to get caught up in silly drama that serves no one. This month will ask you to be discerning about how you spend your time and with whom you should connect. But, it's not all bad news. Remember the 2016 reading I did earlier in the year? 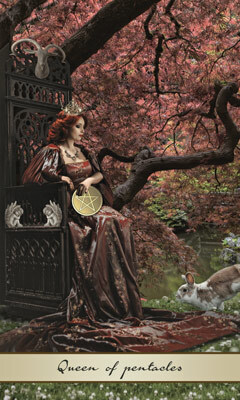 For May, I pulled the Queen of Pentacles, which is all about comfort and security, not to mention, success. So, while negativity might abound this month with the appearance of the Five of Swords, the Queen of Pentacles is here to soften this energy and remind you what is important. The Five of Swords asks you to be aware that conflict energy exists and to understand that some people will use this energy to win at all costs, so you need to decide who/what is worth your time battling. The Queen of Pentacles asks you to take action only on that with which you’re comfortable and to interact with only the best and most caring of people whenever possible. The Five of Swords indicates that you might be forced to deal with betrayal, whether it’s someone talking ill about you at work or trying to take credit for your ideas or your work, itself. Or, the betrayal could appear in your personal world. Are you currently at odds with a friend or relative or significant other? If so, you might want to decide how much trust you place in these people, and if you do trust them, then you’ll want to find a way to resolve any issues before they become ugly. Based on the card I pulled for the month of April, Two of Swords, and the card pulled for the 2016 reading for April, Temperance, you need to be prepared for a month that doesn't bring a lot of answers. April will be a month of introspection and meditation. The Two of Swords indicates that you are trying to make a decision, but don’t have all the information you need to choose wisely. The facts that could help you decide either do not yet exist or they’re hidden. Knowing you need to make a choice, but not having the details to make a wise choice can be very difficult. However, as the April 2016 reading indicates, you need to remain calm and trust that the information you need will appear before you absolutely have to make a decision. 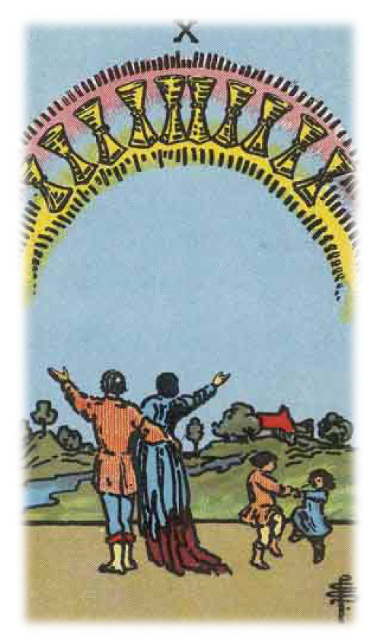 The 2016 reading told you that April would be a month to work with the Temperance card. You’ll need to find balance and moderation in your world. Striving to find peace in your personal world can help you delve deeper to find your true purpose and meaning – why you are here. 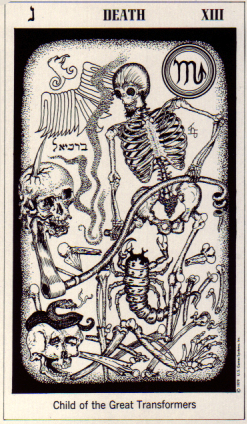 And, with the appearance of the Two of Swords, it seems as if many of you might be struggling with a decision. 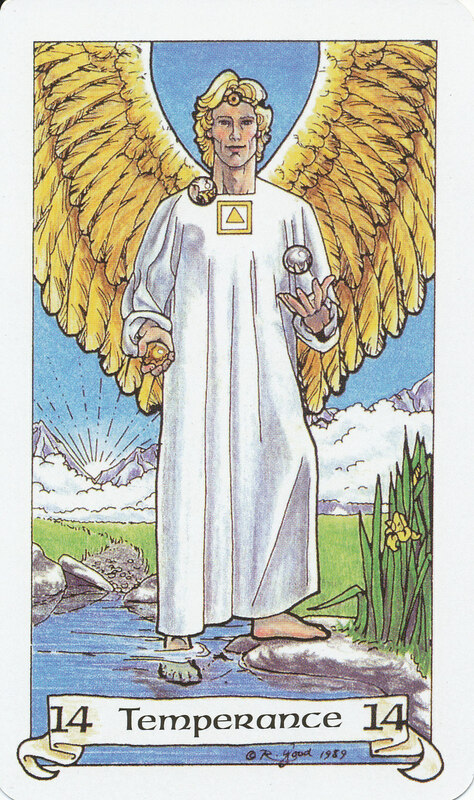 Temperance tells you to relax and give yourself the month to make the right decision. Welcome to March. I apologize for not writing more since I published the January 29th blog. 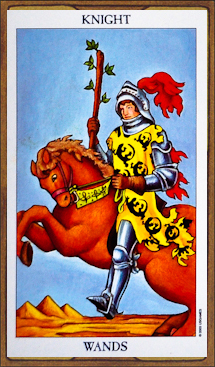 I have all the usual excuses, but I'd rather spend my time writing the March blog, in which you'll get to work with the energy of the Knight of Pentacles. This Knight is quite the efficient one. Before he starts a new task, he plans well, and when he embarks on a new adventure, he will use the best routine or methodology he knows of, as he is all about being successful. And, great planning can more easily lead to success. So, if you’re thinking of starting something new – be it a new garden, a new workout routine, a new writing project, or restoring an old car, work with the Knight of Pentacles to ensure that you’ve planned for success.